Walking around People Square was a great way for Elena and Pablo to practice their Mandarin. 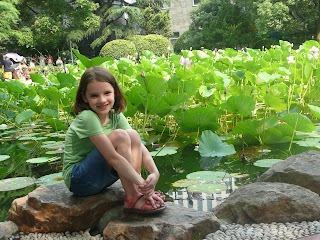 The lotus pond is beautiful, people are relaxed and enjoy the views in the shade. Several people came to us, asked us were we were from, took pictures with Elena and Pablo. 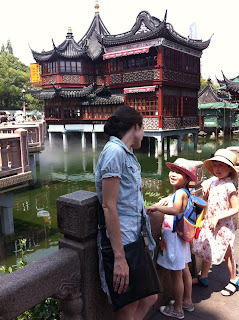 We had the opportunity to introduce ourselves and make some small talk in Mandarin. We met a 6-year old Chinese boy there, whose English given name was “Bluesky”. 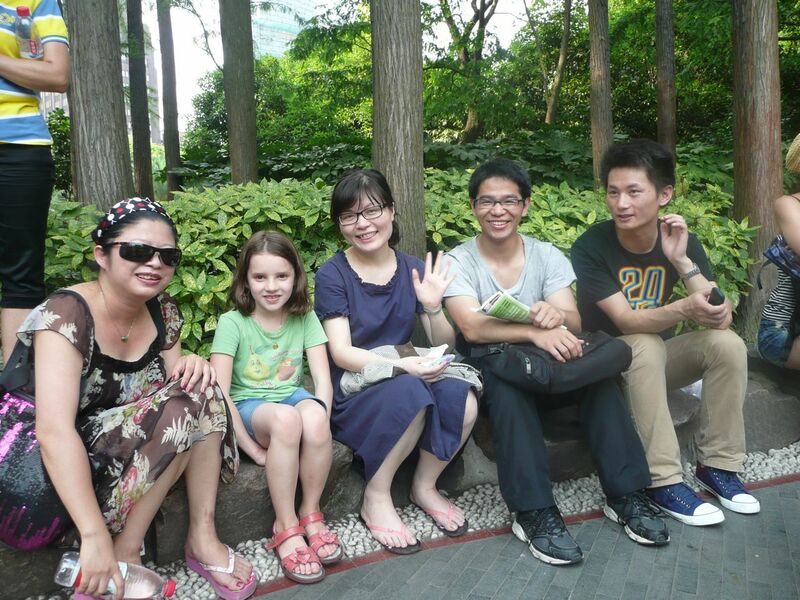 He told us he is learning English by talking with travelers in Shanghai. He even had a name card to introduce himself. 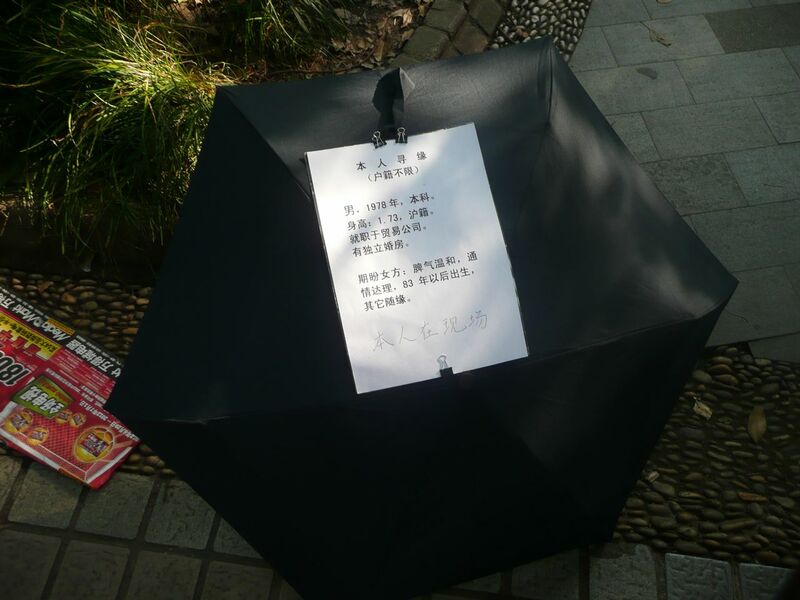 We love the idea: learning a language by practicing in the parks. On a funny note, we discovered in People Square a gathering of over a thousand parents. Each parent had a written page, usually taped on an umbrella, with some information about their son or daughter. We were told it is nowadays difficult for young adults to have the time to find a spouse with their busy work schedule. 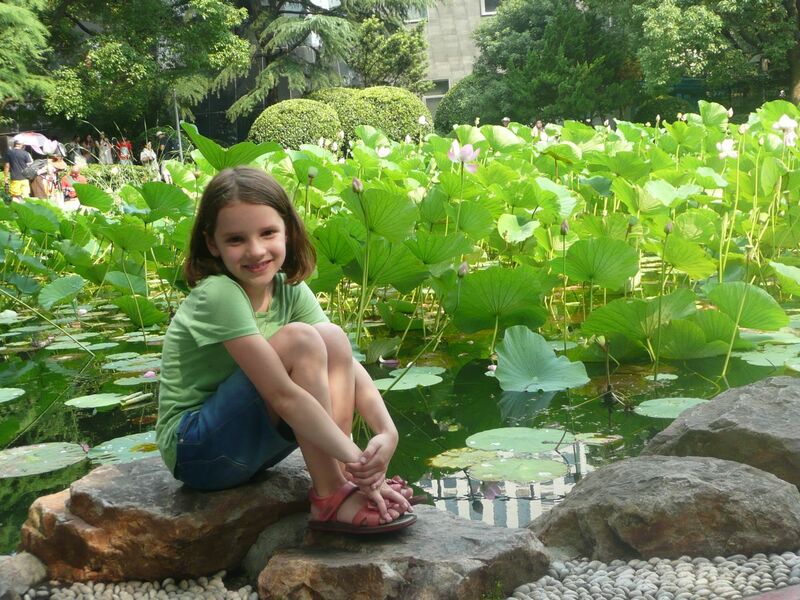 Therefore, many parents in Shanghai do the legwork and go to People Square, talk to each other about their children, with the goal of setting up dates for them. This is full service parenting!